Press Photo by Caitlin Rose Sweet, 2019. 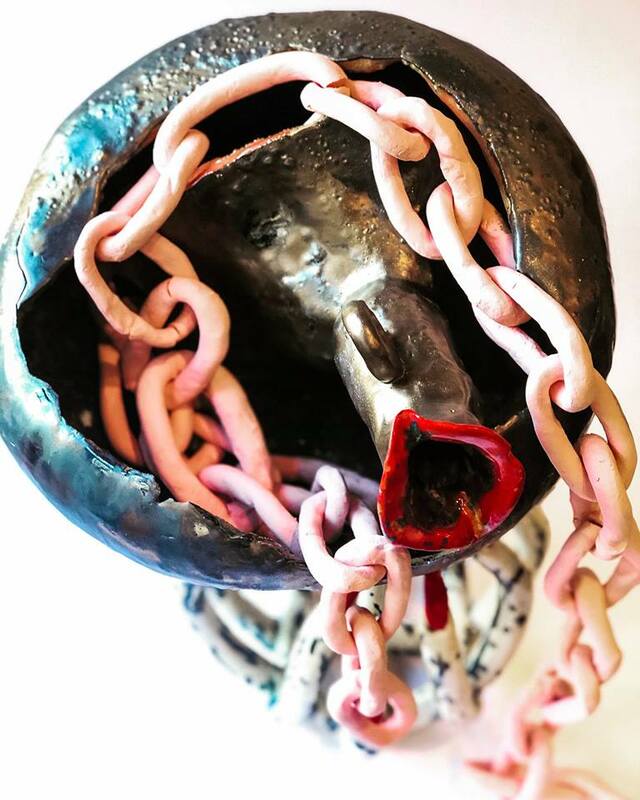 Hag is a new body of ceramic vessels that explores the grotesquely feminine and power of rage. This is a continuation of Caitlin Rose Sweet’s use of the vessel as a site of interrogation of capitalist constructs of labor, hierarchy, and productivity. In this installation Sweet is inspired by folklore of witches that lurk the edges of society and seek revenge for trespasses against mother nature. Hag transforms decorative ceramics into long nailed beasts that drip with desire and revolt. Caitlin Rose Sweet is a mixed media artist who utilizes the handmade to explore embodiment and how objects shape our perception of self. Her queer craft refuses traditional concepts of functionality and mastering of skill as she pushes forms to new horizons. Her work ranges from immersive installations to intimate scaled functional ceramics.